Biscuit making is an exact science and calling . 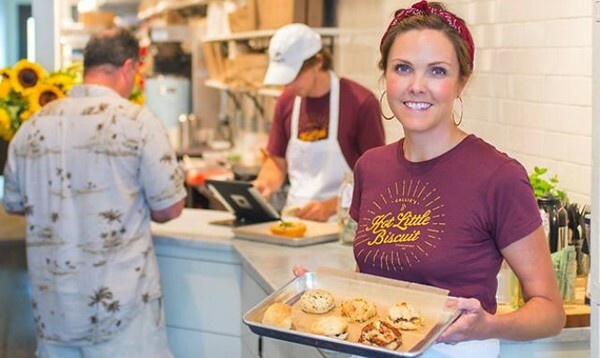 Callie's Biscuits founder Carrie Morey is a passionate speaker on the art of biscuit making, but also on creating a business which has made Callie's Biscuits a staple in the American South. What better way to have guests learn the secrets of biscuits than to have her teach the class! Biscuit 101 with Callie's Biscuits owner Carrie Morey!